Fast and user-friendly tool, adaptable to a variety of uses like architectural projection, art installation, and stage design. For Mac and PC, madMapper makes a seemingly complicated setup simple and easy to realize. 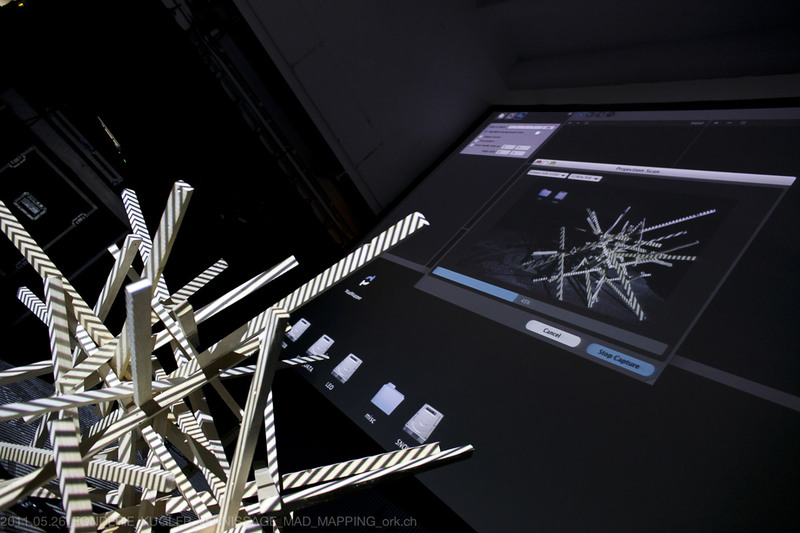 *madMapper is a collaborative project with 1024 architecture, Paris. madMapper can support up to 8K high resolution for video. Simultaneously playback content to multiple outputs and displays, each with unique parts of your composition. madMapper can also control a virtually unlimited amount of LED fixtures. The icing on the cake: Video and LEDs can work together in the same application! Map Anything in Any Size! madMapper is scalable from small projects to massive installations. Add as much media as you like; create as many layer surfaces, output devices, and LED fixtures as you need. If your hardware can take it, madMapper will do it. Colors, patterns, grids, text, and much more is already natively available in madMapper. Explore endless possibilities with madMapper’s generative shaders. 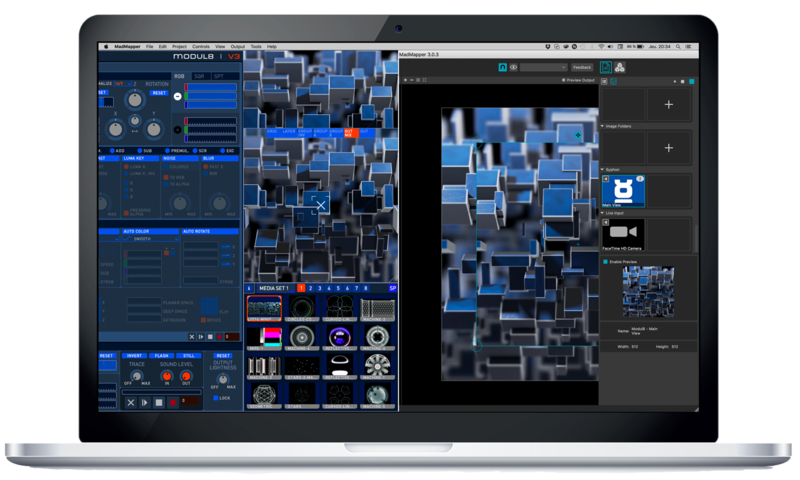 Use the madMapper shader editor to create your generative images and share them with the community. 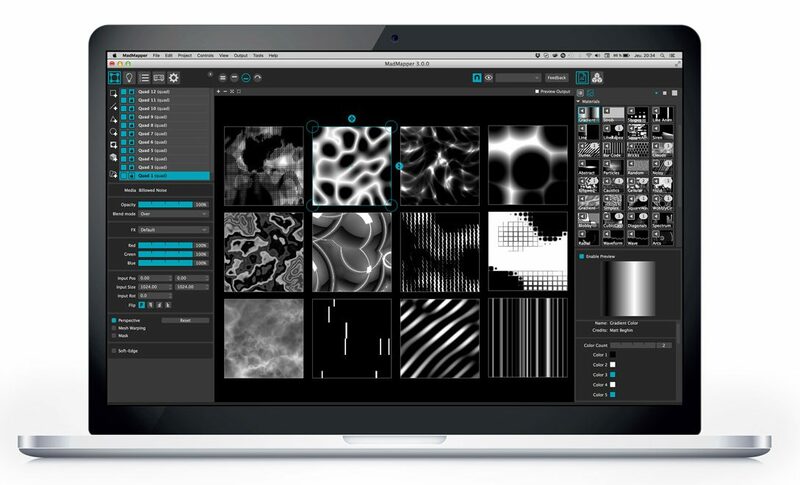 madMapper is plug-and-play easy for newbies, but also includes features for power users who want advanced functionality like 3D calibration, spacial scanning, LED scanning, shader editing, and much more. Be Free with the miniMAD! 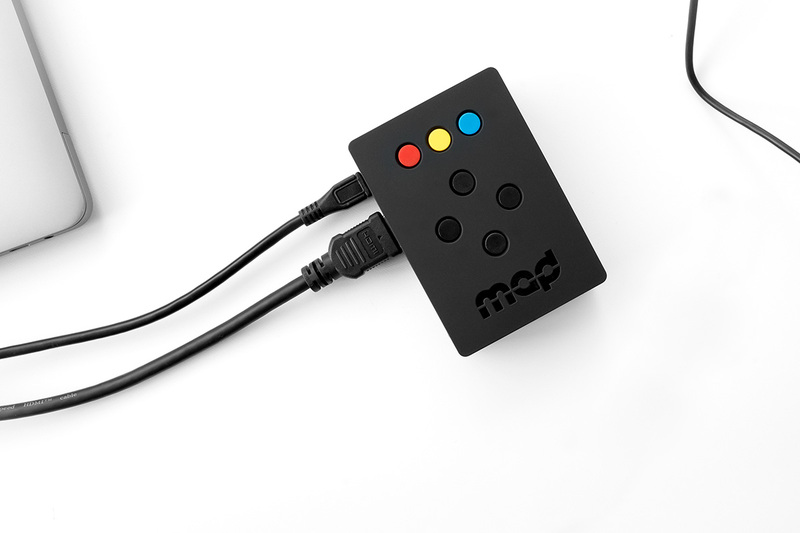 miniMAD is a dedicated plug-and-play device designed to work with madMapper. miniMAD hooks up to a projector and plays movie files on surfaces exported from madMapper. Put your expensive and bulky computers out of a job. miniMad makes your installation easy and affordable. With the tiny miniMad, you export quad and triangle surfaces as well as their content from a selected projector in madMapper. Multiple miniMADs can be synchronized with each other over ethernet to make a cluster of synchronized video players. Zero configuration needed! madMapper will automatically split movies and optimize files for miniMad players! Cheese on the cake: check our new LED feature movie! 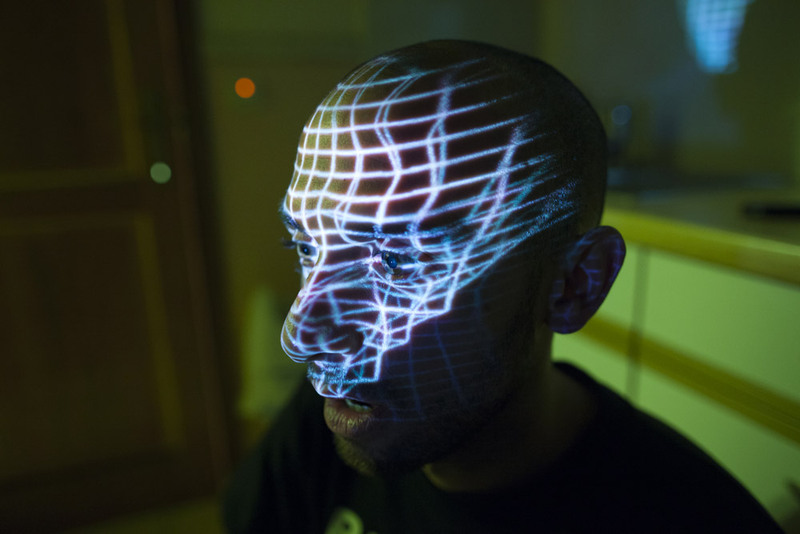 If you running on mac and would love to do an advanced VJ shows in conjuction with mapping. 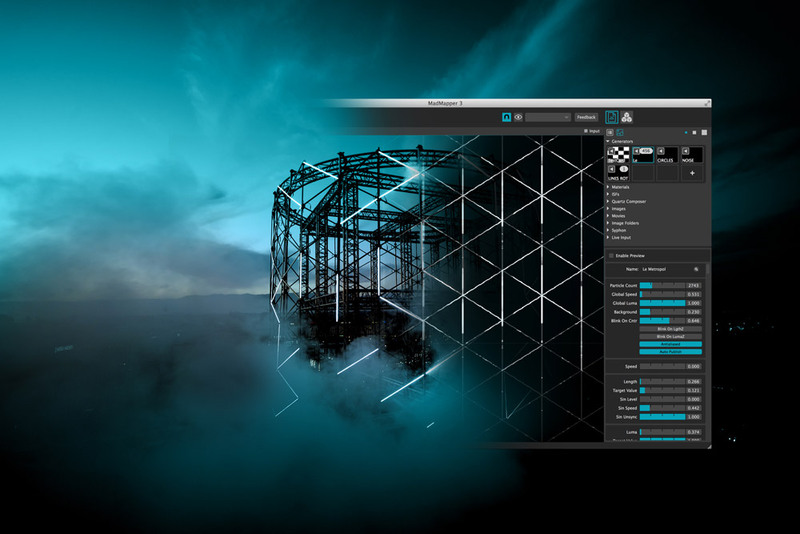 Our software Modul8 can be coupled with madMapper for a mind blowing live show! Sharing the two application is easy using the open source syphon framework.